LendKey partners with some of the best names representing banks and credit unions nationwide. LendKey helps you build a comprehensive digital lending business and gives you the services, tools and advice to build your consumer brand and maximize your loan portfolio performance. We partner with banks and credit unions to create exceptional consumer loan products and deliver them seamlessly under your brand. Our lending-as-a-service solution provides a fully compliant, turnkey platform so you can start lending online in as little as four weeks, at the risk level that’s right for you. Acquire new customers or members in multiple asset classes and get the consumer marketing support, data and analytics you need to drive program performance. Put your capital to work as you diversify, manage and optimize your loan programs. Obtain portfolio liquidity through participation networks and our institutional buyers. Our dedicated regulatory and compliance team protects your business from point of origination through disbursement, servicing and repayment. See how we help you manage and grow your digital lending business. 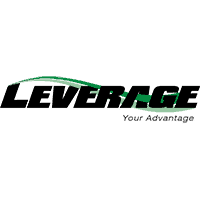 Leverage your brand and take advantage of our digital marketing support and tools to drive highly qualified leads to your organization and increase your loan volume. Our digital origination process lets you easily review electronic loan jackets and includes ID, electronic signature and account verification, and automatic funds disbursement. Lend the way you want. Buy loan participations, retain loans on balance sheet, or choose to sell whole or fractional loans in real time. Create fully customized credit criteria and program guidelines that fit your risk level and goals so you can instantly decision loans. We service your loan portfolio in a true digital ecosystem, including invoicing, payment processing and real-time reporting. We’re industry veterans who invested over $30 million in building a state of the art lending platform. We’re dedicated to taking care of your audiences and serving as a true steward of your brand.